You are supposed to make your presence felt to the corporate world before you get done with your graduation. Keeping all the factors in mind, here's a list of 10 reasons why college students must have a LinkedIn profile in 2018. LinkedIn Profile In 2018 Is A Must! Need a step up, when it comes to the highly competitive world of careers? It’s tough – with more than a thousand applicants for a good job offer. However, here is the one thing you can do to dramatically increase your chances – right now in college. And that’s by building a powerful LinkedIn profile. Consider this – You may be having exposure to many corporate internships, a campus placement–friendly college, skill sets required to land a fresher job and an appealing resume. But, having all these job-friendly traits still won’t guarantee you a job in your very first attempt. That is why leveraging the power of LinkedIn profile in 2018 should be on your priority list. That makes you pretty much ready to handle all the adversities while you are in pursuit of your first job. Why you need a LinkedIn profile in 2018? Because building a professional network is easy with LinkedIn! I understand that most of you have a profile on LinkedIn. However, have you been able to harness its professional advantage? Remember, your LinkedIn profile is not like any other Social Media platform (Facebook, Twitter, or YouTube) where you can share your silly status updates, inappropriate videos, or any meme for that matter. Instead, LinkedIn is your professional face to the corporate world. You are here to do your personal branding to your future employers around the globe. You are supposed to make your presence felt to the corporate world before you get done with your graduation. And how? Here’s a list of 10 reasons why college students must have a LinkedIn profile in 2018. And how it can help you land your dream job. 1. Build your professional network. You don’t have to wait to enter the job industry for building your network. This is something that needs to be initiated while you are still in your college. You have to connect with more and more people who will recognize your skills, qualifications, and strengths. LinkedIn provides you with an interface to connect with people whose areas of interests are same as yours. You can start by connecting with your school and college friends, your seniors, and even your professors. It might happen that your friend of today turns into a business referral a few years down the lane. 2. Extensive Professional Profile, rather than resume. While I was in my college, it was a normal notion that an ideal resume should be one or two pages long. Things have changed tremendously in course of a few years. Employers now want to have a more in-depth look at your qualification, skills, and achievements before calling you for further discussion. LinkedIn fits-in all your professional aspects pretty well. Just share your LinkedIn Profile link to a potential recruiter and your process gets initiated (of course, only if you fulfill their requirements)! 3. Be Professionally Accessible To Recruiters. With the emergence of Social Media, a large number of companies have made their presence on different platforms. You probably won’t find them on Facebook or Twitter looking for job seekers. But, recruiters actively look for their potential employees on LinkedIn. If your area of interest is in sync with their requirement and you have included all your skills and accomplishments in a proper way, they might get attracted and look forward to having you for further processes. 4.Easy Mechanism for Company Research. It is essential to have a better understanding of your dream company. We all do that before we decide to target a company. On LinkedIn, you can research more about the company on their page. They provide information about the new job openings too and more detailed information of that. Current or past employees give their feedback on the company. All these factors can help you have a good idea of the company and act accordingly. 5. Connect on LinkedIn Groups with peer professionals. LinkedIn often suggests you to join a group on the basis of your profile info. Ensure that you join LinkedIn groups that interest you. By doing this, you can reach out to top professionals in your field and get valuable inputs from them. By dropping a valuable comment on a post, you can draw the attention of the market leaders and other group members. Overall, you will have a good learning opportunity in your LinkedIn group and it might turn out that you get a recommendation from a fellow group member. 6. Build Corporate Connections With LinkedIn. Wondering how building a LinkedIn network can be fruitful? Often we follow companies where we wish to take an internship or land a job in future. LinkedIn has this feature of showing connections in your profile who are currently working there. This helps you in having a better understanding of their hiring process, or in case, for landing an internship. No one can provide you an insight into the company better than a current employee or a current intern! 7. Apply Internationally, beyond geographic bounds. LinkedIn is a global platform. If working in foreign countries excite you, you must start building your network. You can start by following the companies of your choice and later on connecting to the employers of the foreign companies. This also allows you to apply internationally for positions that these companies may put up in their jobs section. You can take cues and look for similar positions here too. 8. Know Career Trends, Job News. Many a time, you might face dilemmas over deciding a suitable career path for yourself. LinkedIn helps you stay connected to your batchmates and seniors which in turn gives you an idea what they are up to. You will have a better understanding of the career paths they are choosing and if it is proving to be a good decision for them. Thus, you can decide on your future career accordingly as per your interest and the market scenario using your LinkedIn profile in 2018. 9. Access active professionals for advise, jobs and mentorship. 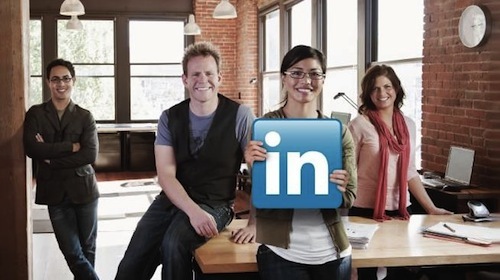 You cannot find professionals more in number on any other social network than LinkedIn. If you are active on LinkedIn, you can find a large number of active professionals – from your schoolmates, college mates, batchmates to your teachers and professors; the number of active professionals from the industry is damn too high! 10.Getting job recommendations for a job. Yes, this is perhaps the most important factor why you must be active on LinkedIn. You can find links to apply for the jobs that are in sync with the skills mentioned in your profile. Apart from this, LinkedIn has a few other factors that makes it different from other job-finding platforms. Because of the professional network you make, you can have a closer look at the company you’re applying to. Job Search: Social Media Mistakes That Can Cost You Your Job! The Anatomy Of A Perfect LinkedIn Profile. Next article"A Career In Journalism Requires More Than Writing"
Earn Stipends Worth Rs 10k – With These Popular Internships In India!